President Donald Trump promoted a critic of net neutrality on Monday to chairman of the Federal Communications Commission, the agency responsible for enforcing those regulations. Pai worked at Verizon Communications Inc. as an associate general counsel for two years, but much of his career has been spent working in government, bouncing among the Justice Department, the Senate Judiciary Committee and the FCC. In 2015, he voted against the agency’s net neutrality regulations, which mandated that cable, cellphone and other telecom companies should providing internet service like a public utility, without favoring particular providers over others. At one point, while the agency was still considering the rules, it received nearly 4 million comments, with 99 percent in support, according to the Sunlight Foundation, an open government advocacy organization. 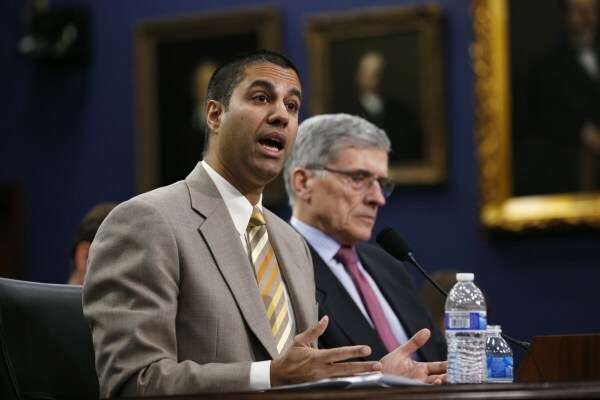 The FCC approved the rules, but Pai accused the agency in a 67-page dissent of “turning its back on internet freedom” in favor of government regulation because Obama ordered it to. At a gala held last month held by the Free State Foundation, a free market think tank, Pai said he was more confident than ever in that prediction. Pai succeeds Tom Wheeler, whom Obama appointed chairman in 2013. Open internet advocates also had reservations about Wheeler, a former chief lobbyist for both the cable and the cellphone industries — which are among the leading opponents of net neutrality. But Wheeler surprised many observers, personally leading the FCC’s sweeping charge to open the telecommunications sector to competition and emerging as an ally to his onetime critics.